BOSTON - Thursday, March 22, 2017 - Mayor Martin J. Walsh has announced that the City of Boston will once again honor Boston's resilience, generosity and strength on April 15, now permanently known as "One Boston Day". The day serves as an opportunity to recognize the good in Boston's community and reflect on the spirit and resilience of the people of Boston that was exemplified in response to the loss and tragedies of April 15, 2013. 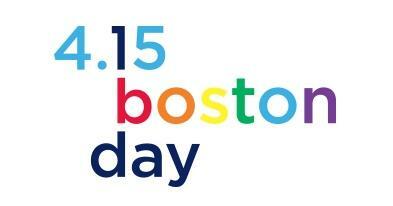 The City of Boston will utilize a website where individuals and organizations can share their plans for One Boston Day, and post about it on social media using the hashtags #OneBostonDay and #BeBoston. Members of the public are encouraged to share how they plan on spreading goodwill on April 15, and show support on social media by using the One Boston Day logos. "The Boston Marathon is a key part of our city's identity, and continues to show the world that Boston is strong, and our traditions will endure, no matter what," said Mayor Walsh. "The spirit of the day on April 15 shows the best of Boston: how Bostonians from all backgrounds come together to line the streets, celebrate one another and do good for their community. I hope everyone can mark this day in a way that inspires each other with the love we have for our community, our neighbors and our City." Mayor Walsh announced this year's remembrance of One Boston Day at the unveiling of the 2017 Boston Marathon street banners hosted by John Hancock at Marathon Sports on Boylston Street earlier this week. One Boston Day encourages random acts of kindness and goodwill, and activities across the City will encourage individuals to give back to their community. This new tradition came together in 2015 based on the desire expressed by many survivors to pass on the kindness, generosity and support they received following the 2013 Boston Marathon. Last April 15, #OneBostonDay was a leading trend nationally on social media, and there were over 77,000 posts across social channels from individuals and organizations marking this day of service and goodwill. As in the past, Hill Holiday is serving as the creative and digital marketing partner to help spread awareness and raise the visibility of One Boston Day.